At Konitz everything revolves around mugs. 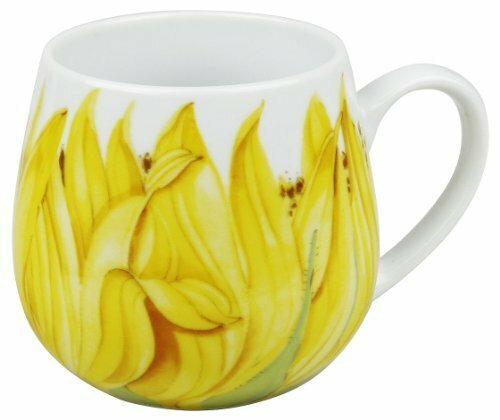 Konitz offers a wide assortment of coffee and tea mugs, as well as espresso, cappuccino and cafe-au-lait cups with flower, animal, artistic, modern and trendy decors. Konitz is constantly on the look-out for the newest and most "in" trends in the area of fashion, design, technology and living, in order to create new mugs. Headquartered in Germany, and founded by the Rosenthal family that created Rosenthal Porcelain, Konitz mugs and tea cups are in a category all by themselves. Set of 4 Snuggle Mugs Sunflower. 14-Ounce snuggle mugs. Made of highly durable porcelain. Dishwasher safe. Microwave safe. A great gift idea. Dimensions: 4.9" x 4" x 3.5".